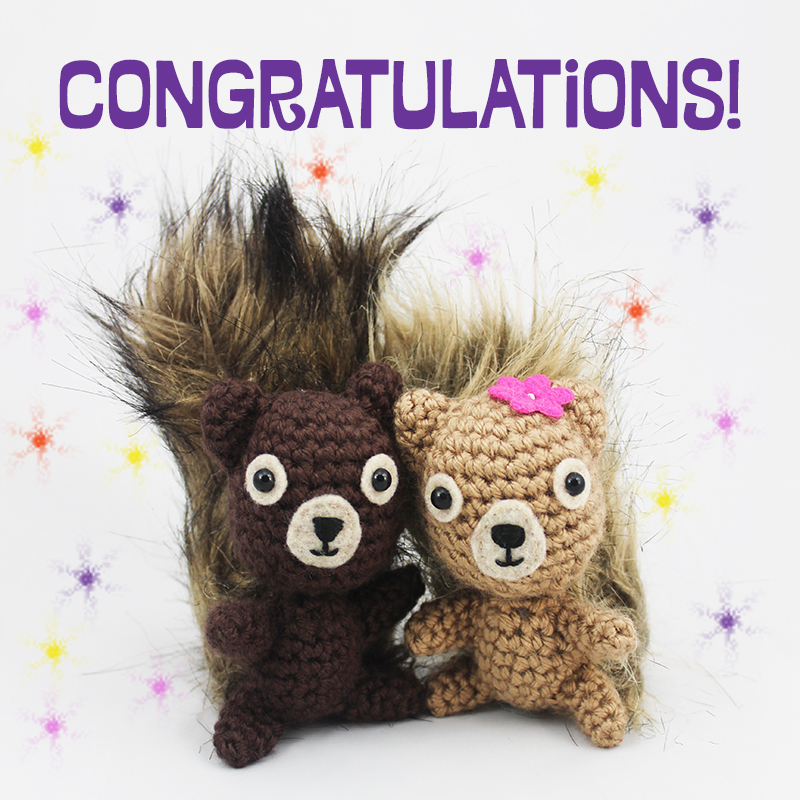 Congratulations to the Winners of The Big Acorn Race Giveaway! Congratulations, Amanda, Cindy, and Tabitha! If you are one of these lucky winners, please be sure to email squirrelpicnic(at)gmail(dot)com with your mailing address so we can send your prize to you right away. Thank you to everyone who entered. We were really pleased to see so many participants. If you didn’t win, don’t dismay; we’ll be holding more giveaways in the future. 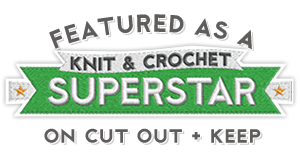 So be sure to follow us on Instagram, Twitter, and Facebook to get in on all the action. 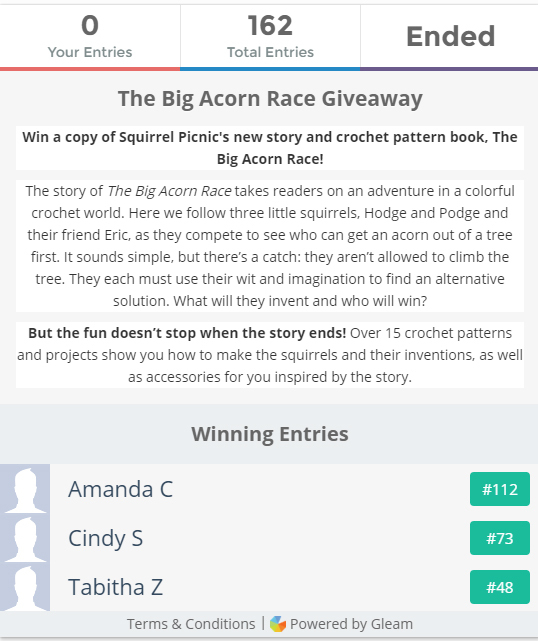 Categories: SQUIRREL PICNIC (the book) | Tags: bigacornrace, giveaway, prize, winner | Permalink.